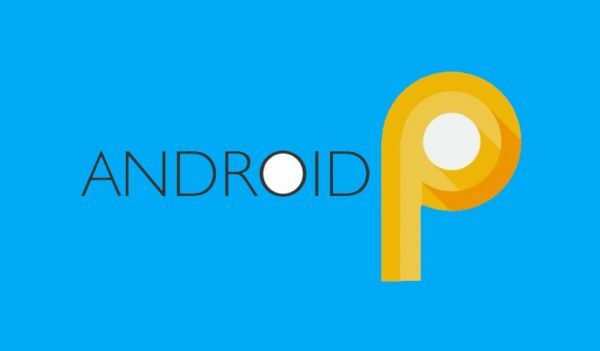 Google being Launching its New Android versions every year, and now after a Big amount of Guesses for the name of next Android version, Google sort of surprised everyone by its new Android Name the Android P as Pie, So Pie will be the official Name of Android 9. It is unveiled in Google I/O 2018 and Google Highlighted Simplicity, Intelligence and Digital Wellbeing. So by Highlights we can simply say the Latest Android will be super simple and Easy to use for all almost all ages, It will be alot Intelligent now and all these simplicity and intelligence works with Digital Well being that means it can help you to maintain your personal health, safety, relationships and work-life balance in digital settings. Acting safely and responsibly in digital environments. Your Information will be the more safer and safest now. The AI plays and Important role to put Power and Simplicity together, here the software understand the way you use it and automatically adapts it to help you more my making the UI easy. By the help of AI Google introduced a new thing ‘Adaptive Battery’ The battery performance will be alot Improved by this new feature. It knows how to handle background apps, The software will learn which app you use most and will decide the power supply, which app should get power which app should not. Adaptive Brightness is also improved, Earlier even if adaptive brightness feature was activated we still had to adjust the brightness across different environments but now this Problem had gone. The software will understand and do it all for you, and will track your daily bases activities and will suggest you the options you really want! in the form of Shortcuts. Google also Introduced a feature called ‘Slices’, it will bring you relevant parts of your favorite app to the surface, so when you search for some app it will show its Important details. For Eg you use Uber, Next time you search for it, the results will include details like fare from one point to other. Now the UI is made more simple, instead of the three navigation button at the bottom now show the only Single Home Button at the bottom, use can all the functions of the home button by gestures like swipe.etc. Recent Apps window is improved and has more features now, depending on the content you can copy, send, Search and do other stuff from their itself. Now obviously we know, Google know that we use our Phones a lot, So google has taken a step to decrease the harm in our Health. Now we Get a new thing called Dashboard here you can get information about usage of your Phone, number of time you unlocked your Phone, Your Usage pattern, Time you spent on each Apps, No.of time you used each app.etc. You can set timer or Limits for the usage of apps that you use the most. Now Do Not Disturb has also Improved, earlier even with DND on your phone disturbs you like turn on the display etc, but now there no disturbance when this feature is turned on and this let you focus on the work you are doing. Also Google has Introduced a new Thing called ‘Wind down’ this feature let you use your phone in limit. Talking about which phone will get this Update- Google Pixels had already got it, and other Phones that are running on Android P beta are receiving the update.